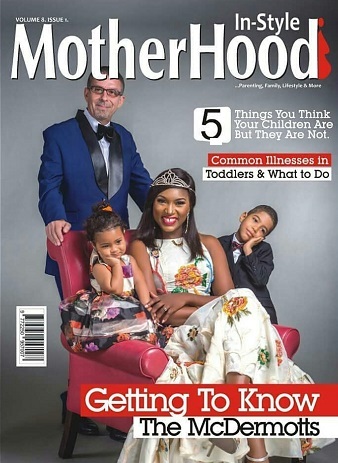 Nollywood actress Ufuoma McDermott and her family are on the cover of the latest edition of Motherhood In-Style magazine. Ufuoma was featured on the cover alongside her husband and kids, Isio Jared and Kesiena Alize. Ufuoma shared the cover on her IG page with so much excitement disclosing how much she loves her family. NO WOMAN WANT BROKE MAN HMM BIG UP TO HER.CLEVER!!! !